As a recognised leader in disciplined agile and lean software development practices, Pivotal combines the Silicon Valley state of mind, modern approach, and infrastructure with organisations’ core expertise and values. Our cloud-native platform and suite of data tools drive software innovation for many of the world’s most admired brands, helping enterprises move at start-up speeds and with greater business agility. We optimise for change and teach next-generation developers to create and build new solutions, and are committed to open source and open standards. Our methodology is about evolving, in both development and innovation, and our culture is empowering. Our 2,000+ employees across offices worldwide subscribe to an ethos of kindness. We make a point to bring empathy to each and every engagement, and are guided by a purposeful mission—to transform how the world builds software. You have an interest in building on our mission to drive a healthy business and culture within our Central AppTx practice. You have a strong passion for leading Agile, Lean and User-Centered Design methodologies and a drive to sell and execute on world-class product development. You will help customers realise the benefits of cloud native applications and architectures on Pivotal Cloud Foundry. You will also work closely with the Spring and Pivotal Cloud Foundry engineering teams. You bring a balanced, holistic and flexible mindset to agile, and lean software development. We share the overall success of the product with our clients. You are comfortable with ambiguity. We work in an iterative and incremental way, balancing many different inputs and constantly making trade-offs. This requires us to be comfortable moving forward with imperfect information. We are taking lean into the core of our customers businesses, modernising their software products leveraging the best of lean, devops and agile, alongside our platform and data products. We work alongside our clients to unlock the full potential of their teams, help transform their legacy portfolio to cloud-native in order to incrementally reduce time to market, cost, operational inefficiencies while maintaining security, resilience and compliance. We’re looking for an Associate Director (AD) Application Transformation (AppTx) for our Central (Germany, Netherlands, Switzerland, and Austria) practice within Pivotal Labs. This is a new role within a relatively new team. As such the candidate will be required to establish, and grow this practice within the Central region. They will collaborate with both the EMEA and global leads for AppTx to define processes, create supporting materials, and train colleagues in how to position and sell AppTx work. This role requires travel to customer sites as part of pre-sales or active customer engagements across the Central region. 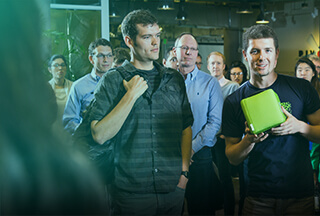 Contribute to selling activities on behalf of Pivotal Labs, and other products and services offered by Pivotal Software. Coordinate with the larger Account Teams to coordinate selling motions and present a unified voice for Pivotal to clients. Act as Client Liaison on selected projects or clients. In this role, the candidate is responsible for [a] shipping software consistent with Pivotal quality which will also drive customer satisfaction, [b] taking responsibility for realisation of financial results for Pivotal from the project are the same as had been anticipated at project start. Beyond the Primary Contributions, candidates are also expected to contribute to Labs’ and Pivotal Software’s success in other ways. Consistently driving pivot learning and development through on-the-job training methods. This will generally necessitate that the AD will maintain high intimacy with pivots assigned to his/her team(s). Be accessible and approachable for team members, and help them (generally before the fact) with technical development, as well as softer skills related to success for the project and Labs in general. Develop and maintain ongoing relationships with several pivots (inclusive of managers) based on mutual preference, that persist beyond the project. Support other leadership in the office and Labs-wide in driving towards Labs’ financial goals and company values.